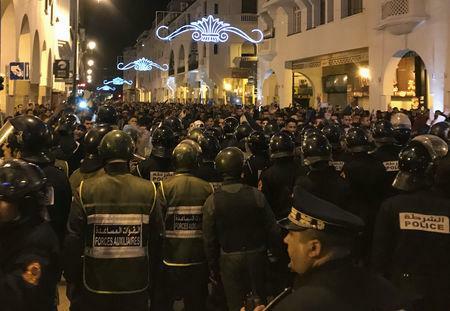 RABAT (Reuters) - Moroccan police used water cannons early on Sunday to disperse thousands of young teachers protesting in the capital Rabat for better work conditions, a witness said. 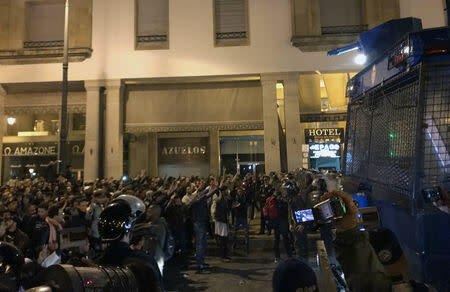 Authorities had offered to send busses to drive them to places where they could spend the night, teachers said. They had been chanting "Liberty, dignity, social justice." Of the country's 240,000-strong teacher workforce, 55,000 have been hired since 2016 under a new contract system.